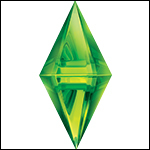 My name is Erin a.k.a MissFergy78 and I am a sim-a-holic since the birth of The Sims. I have owned ALL of the games including the sad , pitiful Sims Online. I spend tons of hours looking for custom content and making Sims...probably more than I do playing the game lol. Nonetheless it is great to find a community for people like me and I hope to contribute and make friends here. Happy Simming everyone ! Re: Hello Fellow Simmers ! Hi @MissFergy78. Happy to have you here! If you love looking for custom content, please consider becoming a Treasure Hunter. Let me know if you have any questions. Hello Erin and welcome here.